The Sierra Club is known for advocating for the protection of our forests, rivers and parks — not for weighing in on housing issues in our cities. But the Sierra Club Seattle Group has come to realize that if Seattle is to meaningfully address climate change, we must also address the dramatic implications our urban housing policy choices have for the climate. Seattle’s Mandatory Housing Affordability (MHA) program adds the opportunity to build more densely in certain neighborhoods (through upzones) and asks developers to build affordable units in return. These new affordable units can be included either within new multifamily housing projects, or by buying out of the requirement by providing funding that helps subsidize new housing construction elsewhere. MHA has already proven effective in the neighborhoods where it has been implemented, and should be expanded to other areas of Seattle. Much of the discussion on Mandatory Housing Affordability has focused on what the policy will mean for Seattle’s neighborhoods. But its impacts will expand beyond our neighborhood — and even our municipal — boundaries. By expanding MHA, the city of Seattle will not only enable the construction of more affordable housing units, it will also make important steps in addressing climate change. The link between increased urban density and lower carbon emissions is well established, thanks in part to the substantial reduction in the number of car trips that urban living allows. NASA’s Langley research center showed that cars and trucks are a “key driver” of climate change in a 2009 study. More recently, a 2014 study found that half of Seattle’s greenhouse gas emissions come from passenger cars. We know that one of the largest sources of car trips is suburban-style neighborhoods, and that living in suburbia all but requires car ownership. When the nearest grocery store, restaurant or school is miles away, and buses and safe bike routes are scarce, it makes sense that those of us who live in the suburbs will choose driving over more environmentally-friendly means of transportation. But choosing to drive our cars for most of our daily trips comes at a significant cost to the environment. Suburban-style housing uses more energy to heat, and is often less efficient than multifamily housing. A 2014 study by the University of California at Berkeley found that the environmental impact of suburban households is up four times that of households in dense urban areas. City life means more access to climate-friendly transportation options — not just buses and trains, but the convenience of walking and cycling to places like schools, shopping and jobs. A major driver of our current sky-high housing prices is our lack of housing supply. Businesses have added thousands of jobs every year, but Seattle has not added enough homes to house our new workers. The increased density allowed under Mandatory Housing Affordability policies will address this mismatch between supply and demand: as more units are added to our general supply, rents and condo prices will ease, or even come down. The affordability requirements included in Mandatory Housing Affordability legislation will expand this environmentally-friendly, urban way of living to people with lower incomes — a critical policy that will help ensure our city stays inclusive and available to more people and families — not just those with the means to buy a single family home. By increasing housing capacity within city limits, MHA reduces development pressure on habitat and farmland beyond our urban boundaries. With more affordable units in Seattle, fewer people who work in the city will be forced to look — and drive — farther afield to find homes they can afford. 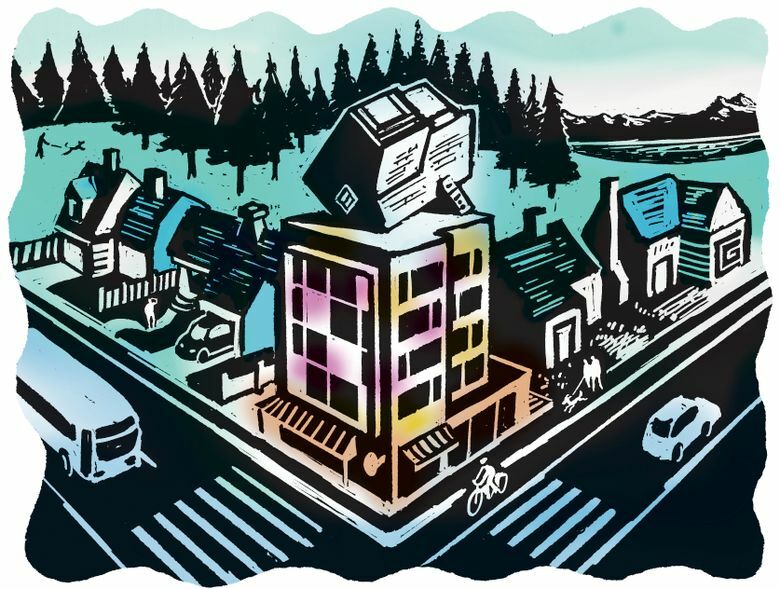 Seattle’s housing and land use policies are connected to the communities and open spaces outside our city limits. Passage of citywide Mandatory Housing Affordability will help protect these important places — and help address climate change in the process. Whitney Rearick is a member of the executive committee of the Sierra Club Seattle Group, and has worked as a planner, affordable housing developer and an advocate for sustainable transportation.